Flight 10 of 10, SFO-SEA, Underwhelming Delta #NMCLaborDay | No Mas Coach! The time has finally arrived, our last flight in the #NMCLaborDay mileage run to end all mileage runs. We’re beyond tired and sore but it was all worth it! We headed back once again to the Admiral’s club in San Fran for a quick coffee and muffin before heading over to Terminal 1 to catch our Delta flight. We almost headed out of security but I asked the TSA officer how to get to Delta’s gates and he turned me back towards the Yoga room. Remember the Yoga Room? 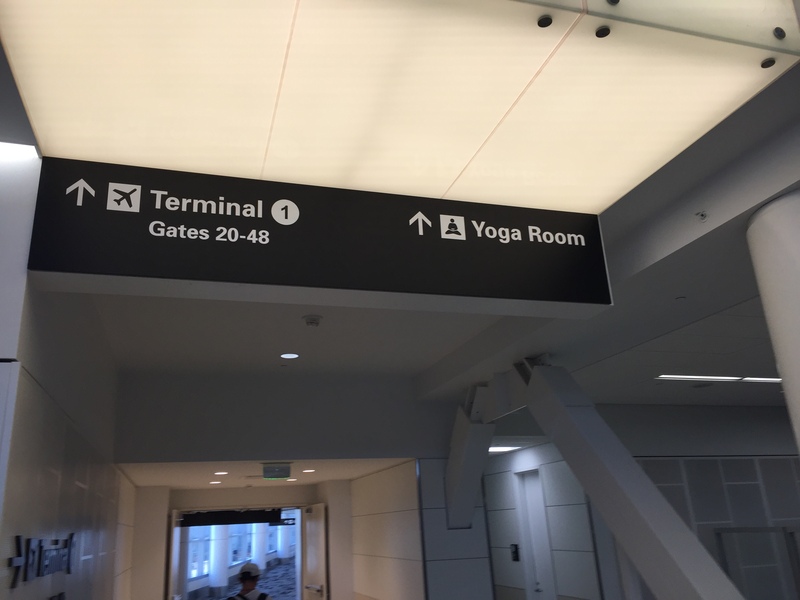 If we would have kept walking down the Yoga corridor, you would have run into Terminal 1! 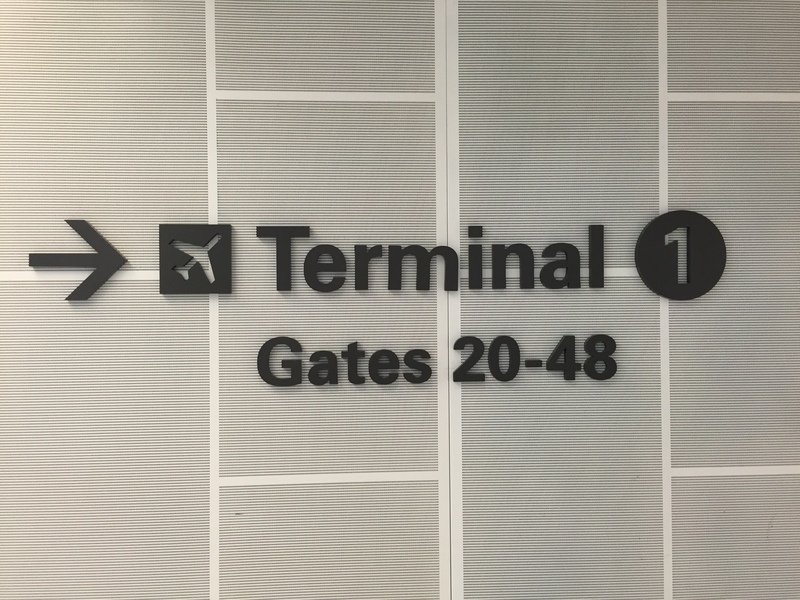 Once we got to the gate we swiftly boarded the plane again to lowered expectations. Anyone seen that from MadTV? As soon as I walked on to the plane, it’s immediately what I started thinking of. Delta flies E175 planes operated by Delta Connection. It’s a 1-2 configuration in “first” class and a 2-2 configuration in economy. Here’s the lovely FIRST CLASS seat! I couldn’t wait for the wonderful video screens … oh wait, just kidding. I also couldn’t wait for the awesome pillow, oh wait. As much as Delta loves to tout their awesome on board product, just like American, there’s a lot of work to be done. 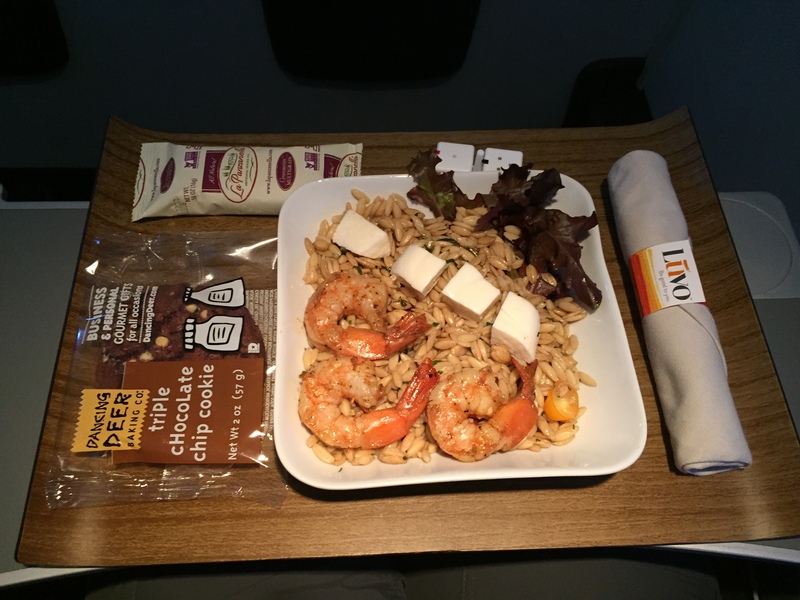 Shortly after take off our lovely flight attendant came over to let us know that we had two options, barbecue chicken sliders or blackened shrimp over (rice pilaf??) with mozzarella balls. Here’s a shot of both of those. I was pretty convinced that it was Orzo, but she said it was rice. I asked again, and she said “oh no, I’m sure it’s a rice pilaf.” You take a look and give us your thoughts. I’m sure it’s NOT rice. It was a short 80 minute flight, so just after we finished it was time to land and call it a day. I’ve got to say, that after dozens of hours in planes and so many lounges, flights, etc, that we really enjoyed this. It was great to see all the different planes, airlines, service, lounges, airports, cities, etc. We hope that you enjoyed reading a little bit about all the flights just as much as we did. Make sure to stay tuned, as we’re going to have some giveaways from the various people and places that we’ve partnered with across the journey. Thanks for following #NMCLaborDay and we hope to see you on one of our next trips! This was quite a ride, and I am exhausted! And lots of work for you, too! Thanks for the effort, and glad you are home and safe! Not sure about you but that food option looks MUCH better than what AS offers. 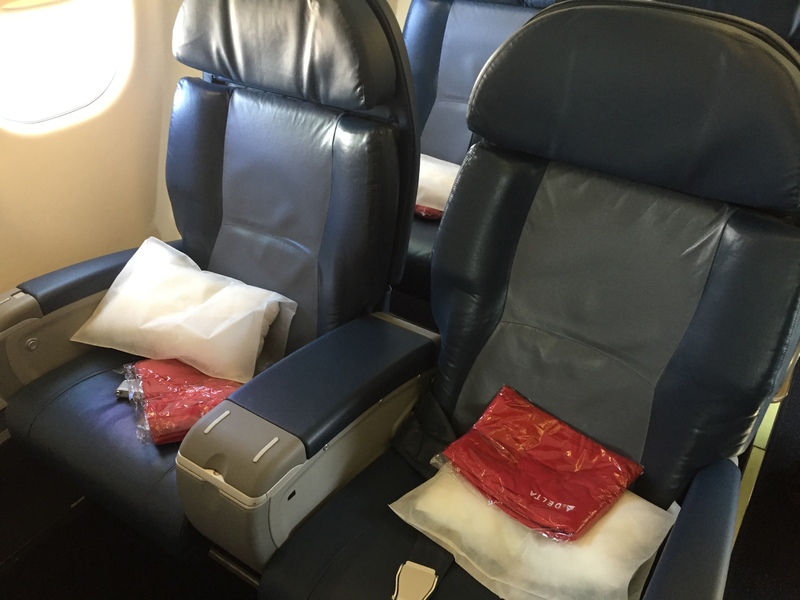 Not sure what you’re expecting on a short flight… need to readjust your expectations. Well, that was the whole point of this mileage run. Being able to try a variety of products from the same airline, and also being able to compare how different airlines stack up against each other on the same routes. Expectations shouldn’t have to be readjusted. First class is first class is first class, not a glorified economy product. I would make the VERY valid comment Ben that on AS you wouldn’t be offered two meal choices in F on this route, or many others. So F is not alway F when it comes to expectations, and that is just a huge no no in F in my book (but I’m spoiled of course). 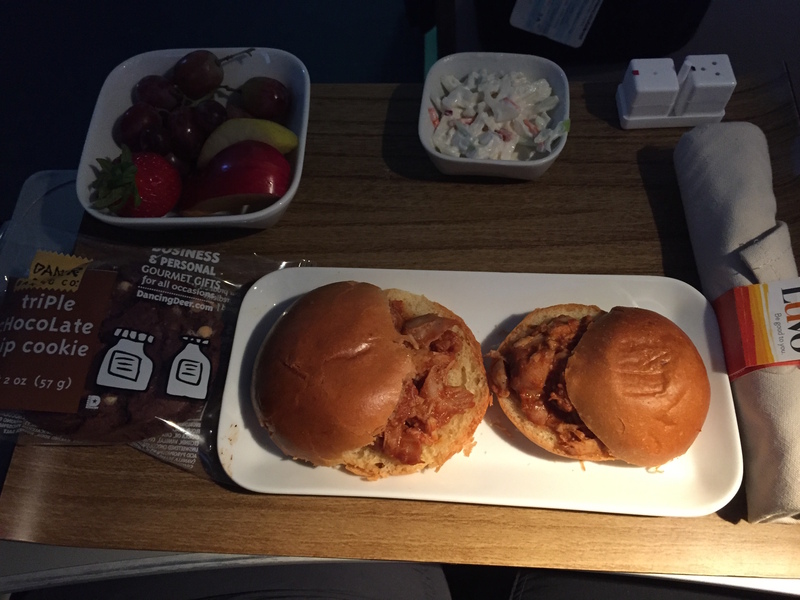 I was actually shocked a meal was offered on your flight, let alone two options. But I guess ‘competition’ and that shuttle thing DL is trying to do is what causes this. I will say though, the Luvo stuff is so underwhelming on Connection, it drives me nuts and they really need to see what AA Eagle does for ideas. You guys did a great job on the TR write-up!